Try as they might, people can ill afford to look away from a car crash. Morbid as it may seem, people are naturally wired to garner interest in catastrophe. At Coors Field, in front of their first ESPN Sunday Night Baseball audience since 2001, the Colorado Rockies were that disaster, pummeled 12-6 under the lights. 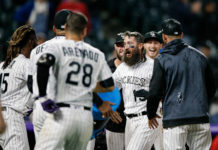 The loss was the concluding failure in a sweep at the hands of the Los Angeles Dodgers and the Rockies eighth consecutive to their National League West foe. While the list of problems is limitless, ahead are the takeaways from the latest Rockies lapse. First, it was Daniel Murphy. Then, it was Ryan McMahon. After David Dahl winced in pain following a first-inning strikeout, grabbing his oblique, the Rockies problems grew. According to fans aplenty, the alarms have already been sounding. While an early-season slump isn’t out of the ordinary, losing three key left-handed hitters in a lineup that lacked depth in that area already is worrisome. Now, the majority are on high alert. After Dahl’s departure, the Rockies lineup was made up of seven right-handed hitters, only two from the left side. On the bench, the lone leftie remaining was catcher, Tony Wolters. At most, pending the results of the ailment, the Rockies could pose a lineup of three left-handed hitters, six right-handed. Even if the club called up Sam Hilliard from Triple-A Albuquerque in Dahl’s stead, the clubhouse lacks any depth outside of right-handed infielders. Pressing for offense early is one thing. Having a clubhouse drained of impact players due to injury is truly cause for concern, especially in a jam-packed National League. Between Tyler Anderson, Chad Bettis and Jon Gray’s six starts to begin the 2019 campaign, only one has resulted in a quality start. Jeff Bridich and the rest of the franchise’s front office had reason to be complacent in the offseason following 2018. 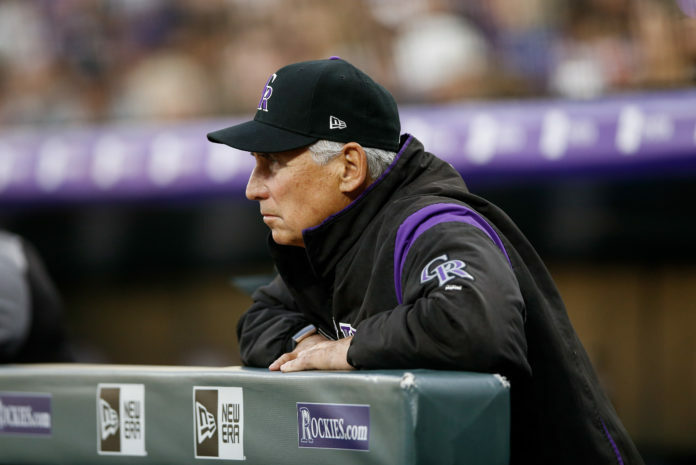 Under Manager Bud Black, the rotation of the Rockies had the fourth-lowest earned run average in club history. Four of the five even started over 30 games. German Marquez and Kyle Freeland’s stellar years appear to have just been a smokescreen. The back end of the rotation, after another shellacking of Bettis, has now given up 30 earned runs in 30 innings. That’s equal to the total runs the Rockies have scored in the season’s first 10 games. Inconsistency has been the only consistent thing. In multiple innings, each of the aforementioned starters has had flawless innings, flashing the potential of a difference maker. None have had those moments last a complete start. Until the rotation can regain their success from last year, it’s hard to envision a playoff run this year for the club. Re-signing aging players in an era of analytic takeover is frowned upon. The one thing no stat can account for though is leadership. It was unanimous amongst Rockies’ players before the year. Gonzalez was a positive clubhouse influence, one that each wanted back. His on-field feats would be a large upgrade over the retained Ian Desmond as well. On the year, Desmond is now 3-for-35 at the plate, only one extra-base hit to show for his efforts. Thanks to a gaffe by Dodgers’ infielder Enrique Hernandez, he’s now at three runs batted in as well. With one out in the third frame, Hernandez fielded a throw from Corey Seager, a surefire double play to come. Instead, he began a jog to the dugout, unaware that his putout was not the third of the inning. In the field, Gonzalez’ trio of Gold Glove awards in the outfield is sure to avoid replication by the current duo of Desmond and Charlie Blackmon either. 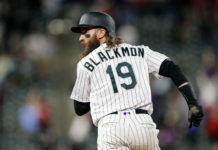 After being the worst outfielder defensively by runs saved last year, Blackmon once again looked flummoxed in his new position, right field. After booting a ball in the second inning, Blackmon whiffed on a routine fly out in the fourth. In total, the two blunders directly added a pair of runs to the rout. Desmond has been no better, misplaying several balls in center field, leading to extra bases for opposing offenses. In today’s MLB, things are delicately calculated. The decision to let Gonzalez go for nothing was a misstep.